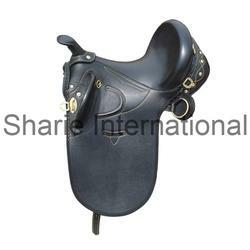 We are counted among the leading and trusted manufacturers and exporters of a comprehensive range of Synthetic Saddles. All the products offered under this category are specifically manufactured using excellent grade raw material and sophisticated machines as per the changing trends and industry standards. Light in weight, water-proof, easy to clean and precisely designed to perfectly fit on the horse’s back, these are running high in demand in the market. 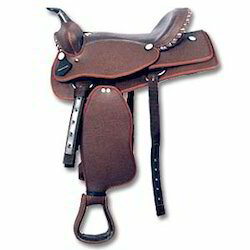 Synthetic Western Saddle are an example of great craftsmanship & design. Our Synthetic Western Saddle is an addition on the same lines. Our Synthetic western saddle with horn shows great piece of workmanship. 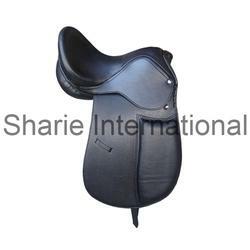 Synthetic Western saddle Made with High quality Synthetic Material. Our clients are offered with a wide range of Dressage Saddle that are variedly used by our clients. We manufacture a very high quality of these Dressage saddles that are also offered in customized sizes and designs. Our range of Dressage saddles is also offered in competitive prices that can suit our client’s choice. Synthetic dressage saddle Made with High Quality Of synthetic Materials. Suede seat & Knee pad. Empowered by a team of skilled and experienced professionals, we have been able to provide an extensive assortment of excellent quality Saddles. Following all industry defined standards and quality norms, these professionals manufacture the range using premium grade leather and sophisticated techniques. Further, the proficiency of our professionals allows us in offering customized designed array as well as voluminous quantities of the range within given time frame. Available all Color and sizes. 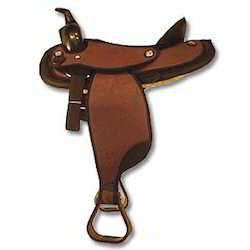 Saddle head are made with Leather and hand Tooling also. Acknowledged for their elegant designs, light weight and longer services life, our range of Synthetic English Saddle are running high in demand amidst the national and international clients. Aesthetically designed and manufactured using superior grade Indian leather, these Synthetic English Saddle provide utmost comfort and pleasure of horse riding. 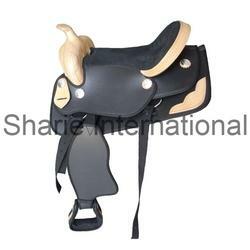 Moreover, these Synthetic English Saddle are carefully checked and tested on varied parameters to ensure delivery of only defect free products at client’s end. 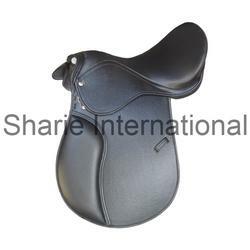 Size: 14", 15", 16", 17" and 18"
Our organization is ardently engaged in manufacturing and exporting a well designed range of Synthetic Stock Saddle. 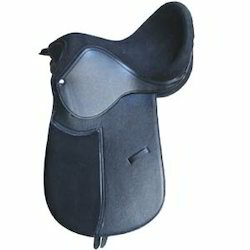 Using optimum quality Synthetic and other material, these horse saddles are properly stitched and proper cushion are placed inside it to cover almost all parts and provide comfort in long sitting. Further, these products are quality tested to ensure delivery of flawless range. Empowered by a team of skilled and experienced professionals, we have been able to provide an extensive assortment of excellent quality Synthetic Dressage Saddle. Following all industry defined standards and quality norms, these professionals manufacture the range using premium grade leather and sophisticated techniques. Further, the proficiency of our professionals allows us in offering customized designed array as well as voluminous quantities of the range within given time frame. Designed with utmost precision and perfection, the range of our Synthetic Riding Saddle is widely acknowledged for providing excellent support to the rider in different kinds of sports events. Further, these are manufactured using optimum quality leather in batches of each model type as per the national and international quality standards. Available in black and brown colors, these are offered in different sizes such as 15", 16", 17", and 18". Owing to our immense industry experience and expertise, we are capable of presenting a wide range of Synthetic Stock Saddle. Precision designed, these are manufactured in standard sizes so that these get perfectly fit on the back of the horse of any breed and all ages. Comprised of solid brass hardware and horn, these synthetic stock saddles can be availed in various sizes and colors at industry leading prices. Supported by a team of talented and sincere professionals, we have been able to put forth for our clients an enticing assorts of Synthetic Horse Saddle. Our professionals ensure that the complete range is carefully manufactured using premium grade leather and latest techniques as per the changing trends of the market. 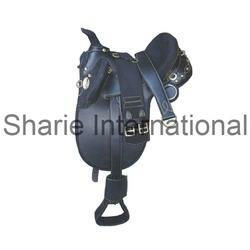 Our clients are offered with a wide range of Synthetic Western Saddle that are variedly used by our clients. 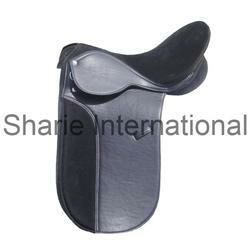 We manufacture a very high quality of these Synthetic Western Saddle that are also offered in customized sizes and designs. 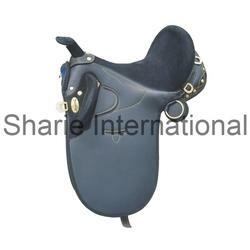 Our range of Synthetic Western Saddle is also offered in competitive prices that can suit our client’s choice. Western Riding Saddle With the aim to satisfactorily cater to the diverse requirements of different clients, we are offering a wide range of Western Riding saddles that are as per the market trends. Our range of Western Riding Saddle are made of pure leather, which ensures durability and classy look to the finished range. Available all Colour and sizes. 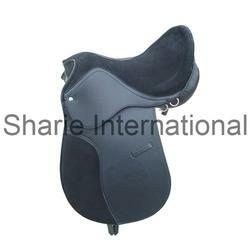 We are counted among the promising manufacturers and exporters of best in industry Black Synthetic Dressage Saddle. Manufactured with utmost care using high quality leather, these consist of deep suede seat with suede knee pad and long synthetic girth strap. Having 6 mm rubber inside, these wooden tree base saddles are offered in various sizes ranging from 15" to 18" in black and brown color. 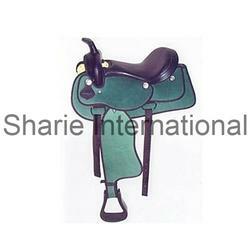 Our organization is ardently engaged in manufacturing and exporting a well designed range of Synthetic Leather Saddle. 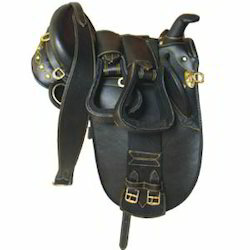 Using optimum quality leather and other material, these horse saddles are properly stitched and proper cushion are placed inside it to cover almost all parts and provide comfort in long sitting. Further, these products are quality tested to ensure delivery of flawless range. Looking for Synthetic Saddles ?